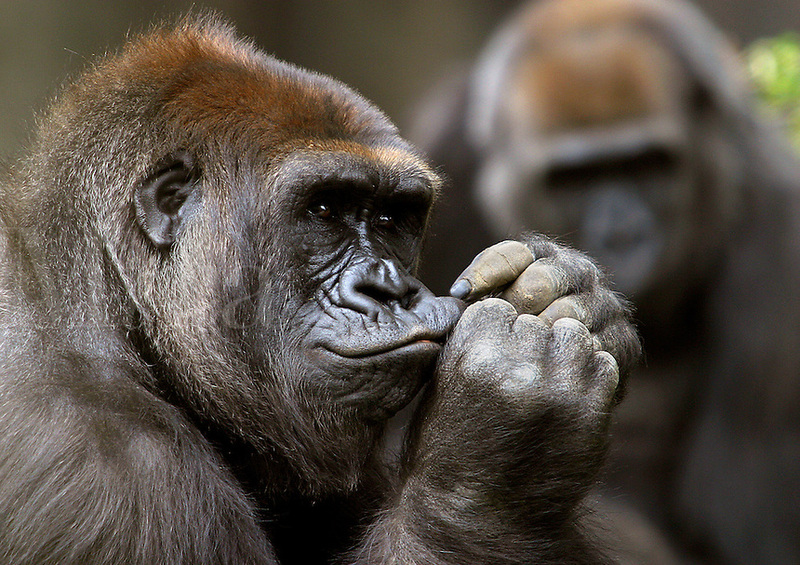 Gorilas, Gorilla gorilla, are the largest of all primates. Plant-eating animals. Africa.